Innovative Solution: The Icebox creative team, married scale, budget and specific design criteria, to maximise the impact of the ice installation. The team had to ensure that all communications objectives were met, and that logistically the sculpture would be in Davos at the required time, with likely major snow fall in Germany and Switzerland. The team took the fragile sculpture in an Icebox freezer vehicle to Switzerland over a two day period. Specialist drivers, with snow chains and special equipment got them into Davos a day ahead of schedule to survey the site. 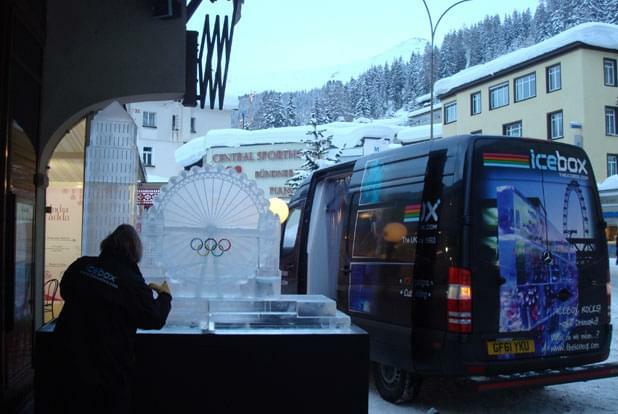 Icebox took care of all display production, plinths and lighting to the external location outside a top restaurant in the centre of the main street in Davos. The Icebox team was on site at 5am, in -15 temperatures, in heavy snow, ensuring that the installation was carried out with minimal effect on the restaurant or public, before it opened at 7am that morning. Dynamic Result: The installation was stunning, with a back drop of mountains and blue sky, in the hub of the WEF political activity. The press photo call was attended by over 50 of the world’s top international TV and news reporters and the ice sculpture was a constant source of attention throughout the day. The mayor was interviewed several times during the course of the day with the sculpture as the background. 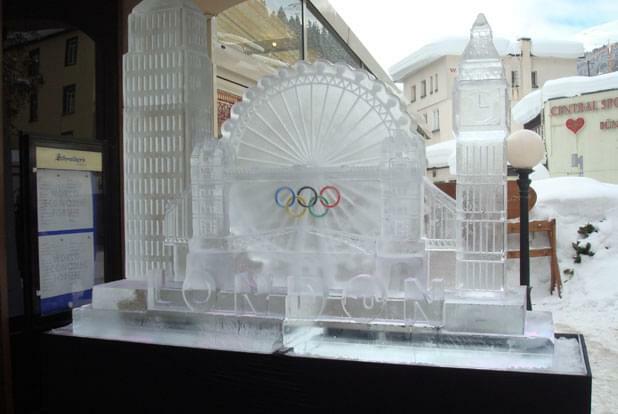 Hundreds of VIP’s attended the Great British Tea Party at the venue, hosted by David Cameron and again, the ice sculpture was effective in promoting London as guests entered the exclusive restaurant and event. 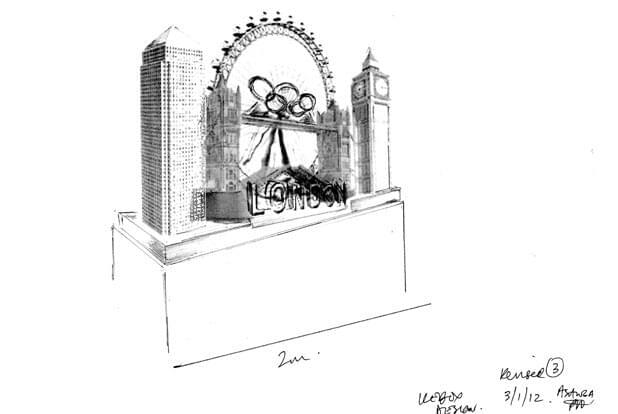 Our client was delighted with the London Skyline created for the World Economic Forum in Davos. An exceptional event, delivered to the highest standards, setting The Icebox apart as industry leaders. 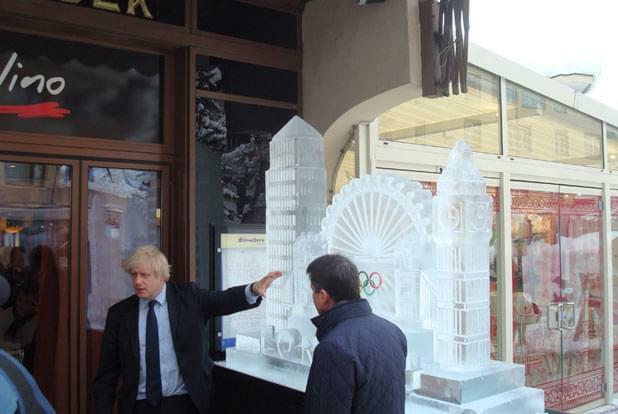 Thank you for all your efforts in ensuring that London was on the map at Davos this year. 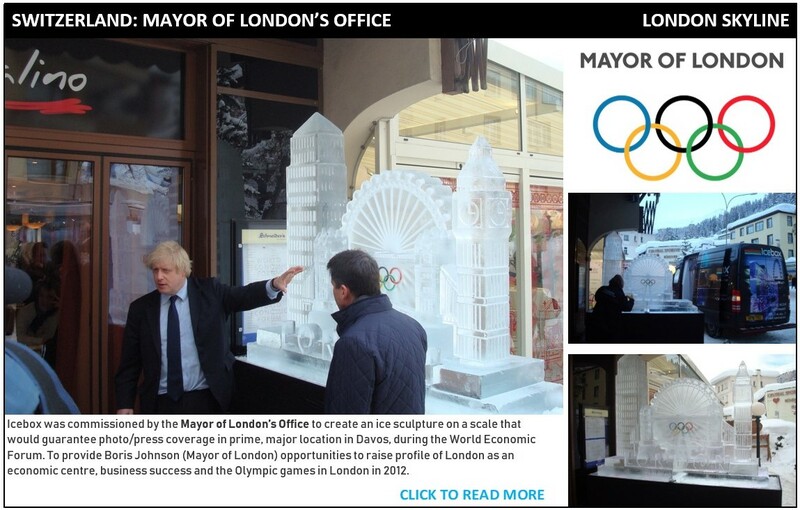 I receive many compliments on the tremendous ice sculpture that you created here in London and I do hope you found the experience enjoyable. Please also pass on my thanks to John, your committed driver, who I hope got back to London without any difficulties. Your company is a fantastic example of London’s incredible entrepreneurial talent and ambition. I wish you and your business every success.